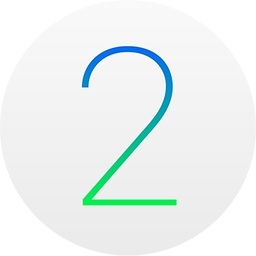 Apple today seeded the fourth beta of an upcoming watchOS 2.2 update to developers, two weeks after seeding the third watchOS 2.2 beta and more than two months after releasing watchOS 2.1, the first major update to the watchOS 2 operating system that runs on the Apple Watch. watchOS 2.2 has been in testing since January 11. The fourth watchOS 2.2 beta can be downloaded through the dedicated Apple Watch app on an iPhone running the iOS 9.3 beta by going to General --> Software update. To install the update, the Apple Watch must have 50 percent battery, it must be placed on the Apple Watch charger, and it must be in range of the iPhone. watchOS 2.2, along with iOS 9.3, introduces support for pairing multiple Apple Watches with a single iPhone. Both updates are required, with each watch running watchOS 2.2 and each iPhone running iOS 9.3. watchOS 2.2 also includes a revamped look for the built-in Maps app on the Apple Watch with access to the Nearby feature first introduced with iOS 9 and new buttons for quickly accessing directions to home and work. There were no other obvious outward-facing changes introduced in the first three watchOS 2.2 betas aside from the changes to the Maps app, but the update undoubtedly includes under-the-hood performance updates and bug fixes to address issues that have been discovered since the release of watchOS 2.1. WatchOS 2.2 is expected to debut in the spring, perhaps at Apple's rumored March event. Apple stop this madness and give me some new watch faces already! Does this update finally activate the cellular radio? And let me update without the charger! Watch has been on my wrist for 7 hours... battery is at 90%..... come on... let me update! No, but on April 1st, it will activate both 30-day battery life and a full OS X Desktop UI. Im not happy with my apple watch, been hoping for continuously updates, watch faces and more reasons to think that I did not purchase this merely for exercise, feels old now, im not impressed with the updates so far. We need more functions, they probably will add more on a new apple watch, which im not gonna buy.... after almost a year with my watch, I can say it's definitely NOT worth it. I want the opposite pairing option. I have both a personal and work iPhone. I can't be the only one. I want to pair both to my watch. Why not? I may have been trolled, but I heard the watch takes HR readings every five minutes on 2.2 beta. Can anyone confirm?